A public advocacy group is asking the Food and Drug Administration to add black box warnings about heart attack and other cardiovascular risks linked to taking testosterone products. Public Citizen made the appeal on Tuesday, citing studies that have linked heart problems to taking the hormone. The black box warning is the strongest warning that the FDA can require companies to put on their products. It alerts users that the medication has a high risk of causing adverse health effects, including ones that can lead to death. 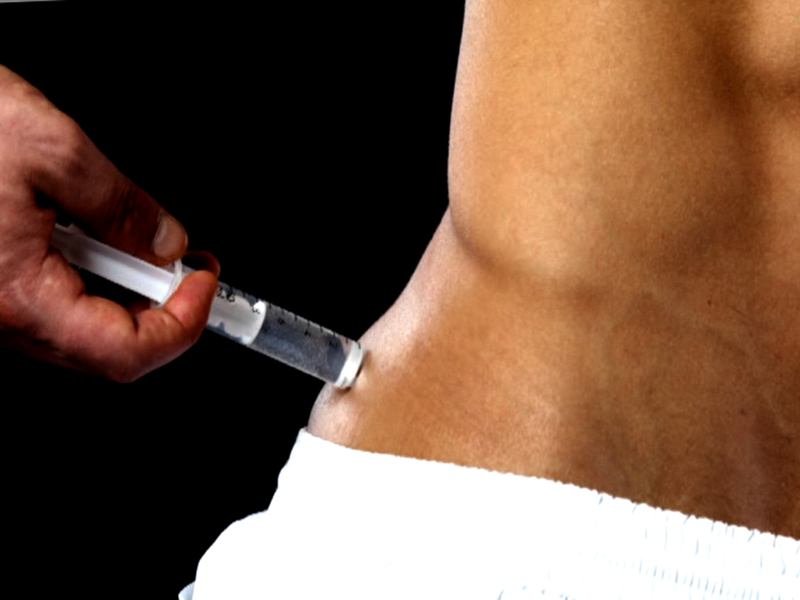 The group also asked the FDA to delay its decision on a long-acting injectable testosterone product called Aveed because it doesn’t have the black box warning. Aveed was supposed to hit the market on Feb. 28. A recent UCLA study of 55,000 men showed that the risk of heart attacks in men over 65 doubles within 90 days of starting testosterone therapy. For men under 65, the chance of the adverse event triples. “Testosterone increases red blood cell production and red blood production can lead to cells that coagulate,” study co-author and UCLA epidemiologist Dr. William Finkle, told CBS Los Angeles. Another study published in November 2013 in the Journal of the American Medical Association showed that older men -- most of whom had pre-existing heart disease -- had a 29 percent increased of heart attack, stroke or death when taking testosterone. "We certainly now have to take a pause and say, 'Listen, we need long-term data before we tell a 40-year-old with low T to go on this medicine,'" CBS News contributor Dr. David Agus told CBS This Morning. Public Citizen also said that an analysis of 27 different testosterone trials published in April 2013 showed that 13 studies funded by pharmaceutical companies did not show an increase in adverse heart events. However, the 14 that were not funded by drug manufactures showed a two-fold higher chance of heart issues compared to not taking testosterone. Finkle added that though testosterone comes with a lot of warnings, increased heart attack risk is not one that's mentioned. “The package insert, the package warning, does not include a mention about the risk, I would say that is an unexpected result,” Finkle said. The group said that more than five million prescriptions for medications containing testosterone were filled in 2013 in the U.S. alone. Wolfe added that if the FDA does not include black box warnings about the cardiovascular risks linked to the hormone replacement therapy, more unnecessary heart attacks can occur. Testosterone replacement therapies are prescribed to men by doctors to treat physician signs of aging caused by depletion of the hormone, including fatigue and low libido, according to WebMD.